I really like this magical fantasy! There's romance, adventure, and lots of magical encounters. This definitely satisfied my cravings for something exciting. The story first introduces Elea and explains her normal life on her farm. She knows how to use a little bit of magic, but doesn't plan on becoming a powerful Grand Mistress Necromancer. Unfortunately her plans change when a powerful curse is placed on her. A deadly curse that will make her burn eternally. She has five years to break the curse, and the clock is ticking. 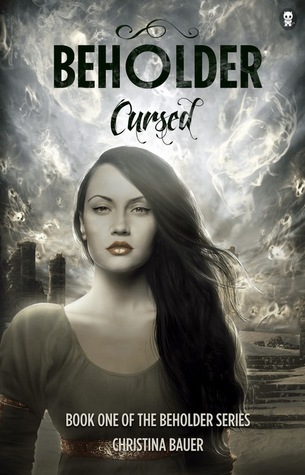 On her journey, she meets allies that also want to defeat the man that placed the curse on her. One of them is a powerful young man named Rowan. Rowan is a caster that also knows magic. He and his group have been waiting for someone like Elea to help them in the fight. He's bold, strong, and knows how to make Elea blush. I really enjoyed the plot and characters. However, I do wish that this story explained Elea's experience when she was learning how to use her power. The story just skips five years of her life and jumps to the part where she's a powerful necromancer. There were also some areas where the story felt a bit choppy, but I still had a lot of fun reading this, and I can't wait to start the next book.